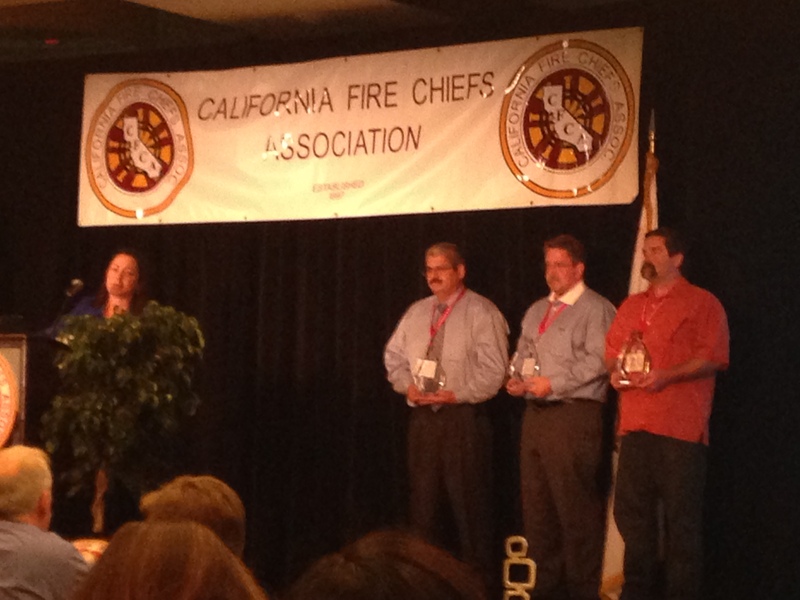 The California Fire Chiefs Association (CalChiefs) recently concluded its 2014 Annual Conference in Long Beach. Attendance for this event was up 35% over the previous event. Fire Chiefs and Chief Officers from agencies throughout California were in attendance to receive updates from the California Office of Emergency Services, Office of State Fire Marshal, California Metropolitan Fire Chiefs, Fire Districts Association of California, League of California Cities, California Professional Firefighters and the CalChiefs Legislative Director on statewide issues affecting the delivery of fire and emergency medical services (EMS). In addition, there were a variety of presentations on other topics of interest. 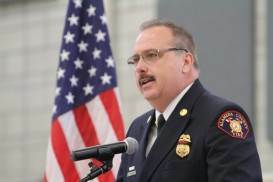 A significant activity of the conference is the President’s Luncheon when the “Fire Chief of the Year” is selected from nominations submitted. 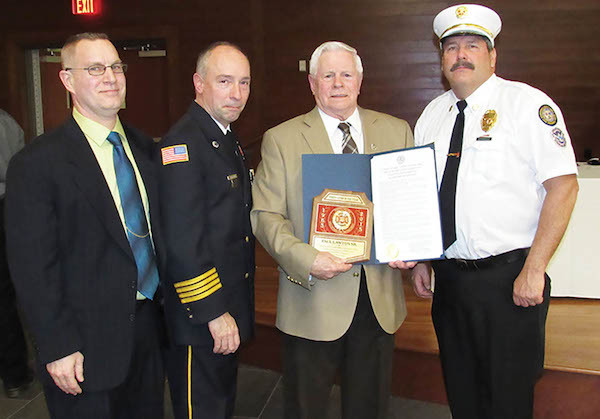 Criteria for nomination includes fire chiefs that exhibit special qualities and abilities and shall include community involvement, leadership and management, training and education, fire prevention and public safety education, and the impact of these activities on fire and emergency medical services locally, regionally and statewide. Many fire chiefs are worthy of this award but this year CalChiefs chose to instead provide special recognition for some individuals who have assisted California’s fire and emergency medical services on a statewide level for numerous years. The surprise recognition for Deputy Chief Ray Ramirez, Ontario Fire Department, Assistant Chief Scott Clough, Sacramento Metropolitan Fire District, and EMS Director Ted Peterson, Novato Fire District was for all their EMS efforts. Deputy Chief Ramirez manages the EMS operations for the Ontario Fire Department, has been involved with EMS locally, and represents CalChiefs on various committees and a task force drafting Health and Safety Code EMS language for statewide implementation. His expertise in this area, and legal background, have been invaluable to our service delivery. Assistant Chief Scott Clough and EMS Director Ted Peterson are both assigned responsibility for EMS in their agencies and have been specifically involved in acquiring additional funding for California fire agencies that provide ambulance transportation services. Clough and Peterson, over the past few years, have drafted language, secured legislative sponsors, and worked with numerous entities for passage of Ground Emergency Medical Transportation (GEMT) legislation securing millions of dollars in Federal funds for local agencies. A second companion piece of legislation went through the process this year and will be re-introduced in 2015 providing as much as an additional $350 million in funding for California’s fire services. 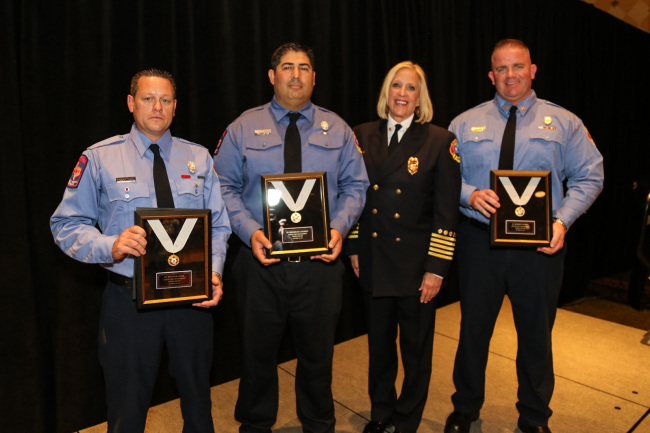 The efforts of Chief’s Ramirez, Clough and Peterson stood out as exemplary and deserving of such recognition by all of California’s Fire Chiefs.